Contact your state representatives! Explain to them why safe, emissions-free nuclear energy is critical to helping California do its part in addressing global warming. The geographical footprint (land area) of SONGS is .4 square miles5. How much geographical area is required to generate the same average electrical power using other technologies? Through 2019, the U.S. Department of Energy estimates the cost for new nuclear energy at $96 per megawatthour9. What are the estimated costs for other carbon-free technologies? 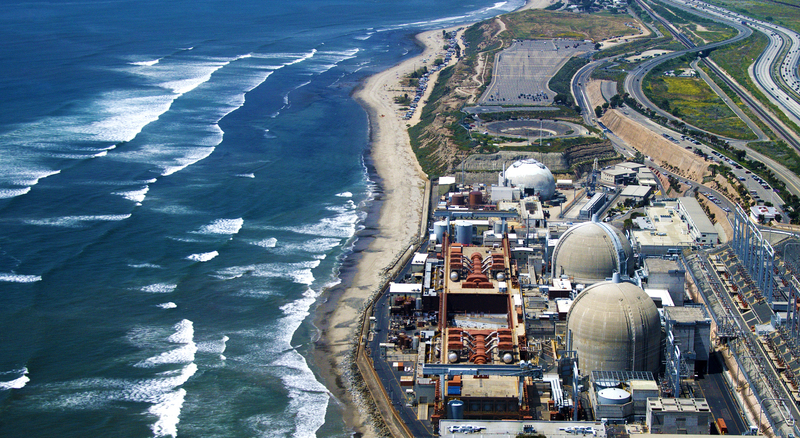 The estimated cost to repair to San Onofre, excluding warranty compensation from the manufacturer of the defective steam generators, is $800 million. The cost to decommission the plant and replace the energy it generated is estimated to be $13.6 billion, borne by ratepayers11. Due to improved operating efficiencies over its lifetime, closing SONGS will result in 8 million tons of additional carbon (or equivalent greenhouse gas) emissions every year - about the same as 1.6 million extra cars on the road12.